SNMP ( Simple Network Management Protocol ) is a protocol that is designed to provide the ability for users to monitor and manage the network in a systematic computer remotely or in the control center only. This processing is executed by collecting data and make the determination of the variables in the managed network element. MIB or Manager Information Base, can be regarded as variable data base structure of managed network elements. This structure hierarchical and have rules such that any variable information can be managed or set up easily. 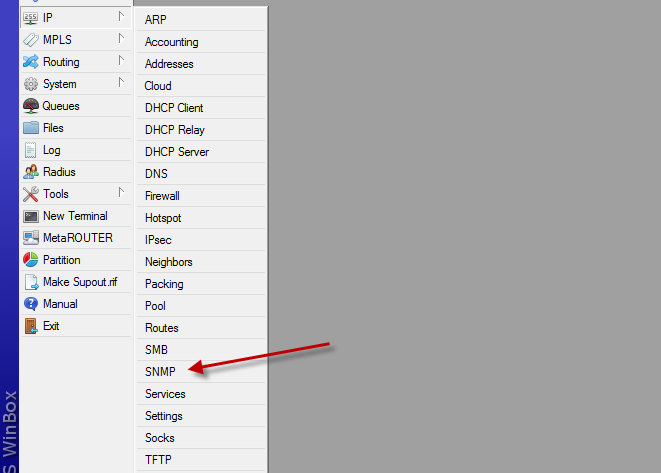 On the mikrotik router, this snmp feature is already available. 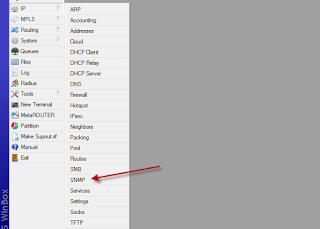 By default, this snmp feature is disable but you can enable it by remote through winbox, web interface, and telnet session. After snmp feature enabled on mikrotik, you can monitor incoming and outgoing traffic in all the active router interface with snmp tools such us dude mikrotik and the other network tools. How to enable this snmp feature on mikrotik is very easy, and I will explain step by step how to configure SNMP on the mikrotik router trought winbox. 3. 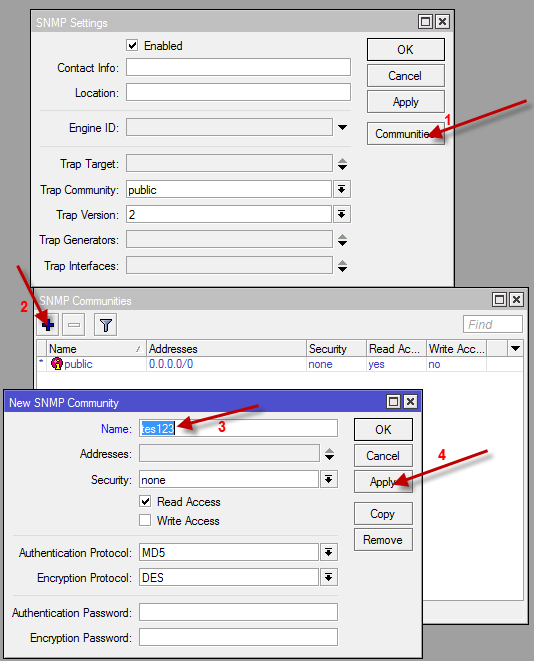 Setting SNMP Community. The default community is public. 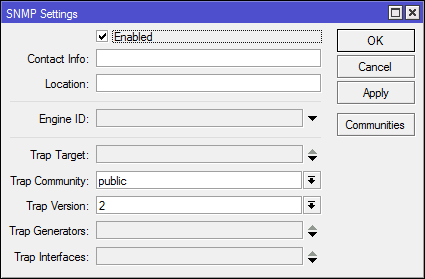 0 Response to "Enable snmp feature on mikrotik router"